Diamond Coast Dental in Huntington Beach excited to welcome Dr. Hien Nguyen DDS MICOI to our team. Dr. Hien Nguyen graduated from University of California San Francisco. 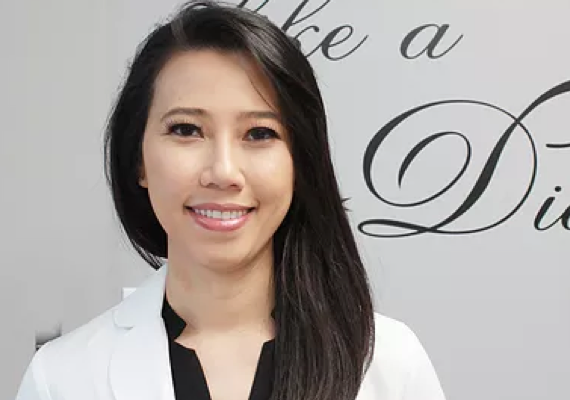 She then trained to place implants on most difficult patients at Orlando VA . After that, Dr. Nguyen pursued further eduation and has gotten her mastership in Oral Implantology. She has been devoting her time exclusively on placing implants at Orlando VA hospital for the last 5 years. • International Congress of Oral Implantologists, Fellow. • International Congress of Oral Implantologists, IPS Master.